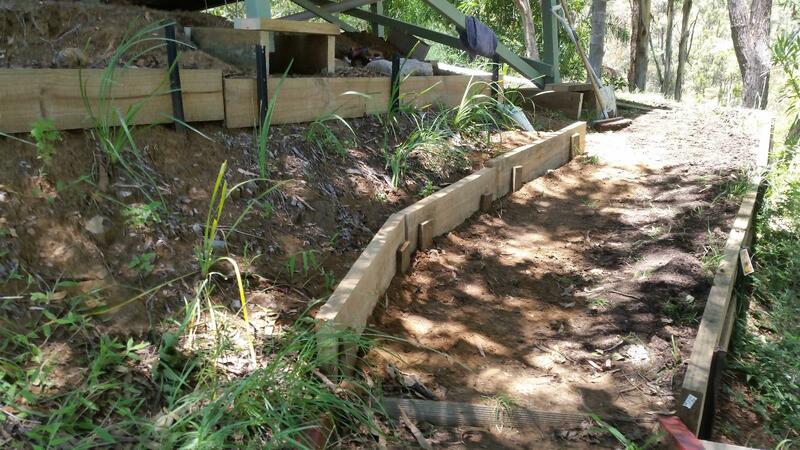 Back in October 2015 we added some sleepers and star pickets to hold back the bank that surrounds the footingsand we planted the bank below the footings. 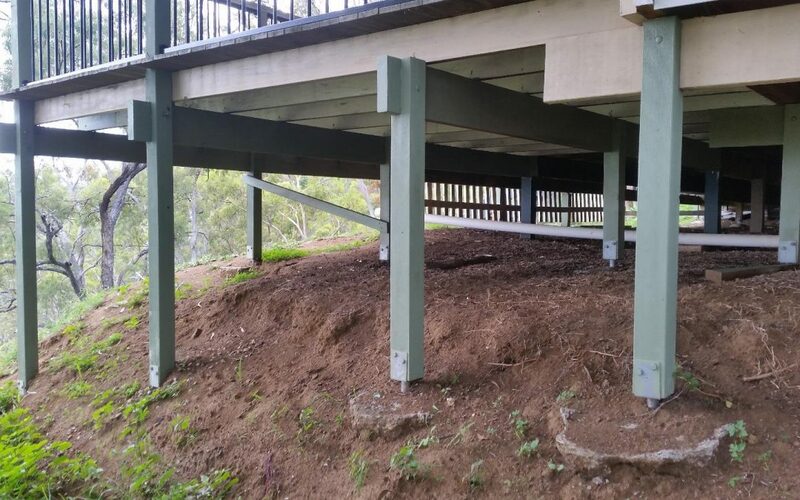 The aim was to secure the ground with well-rooted plants and for this we chose Lomandra hystrix. 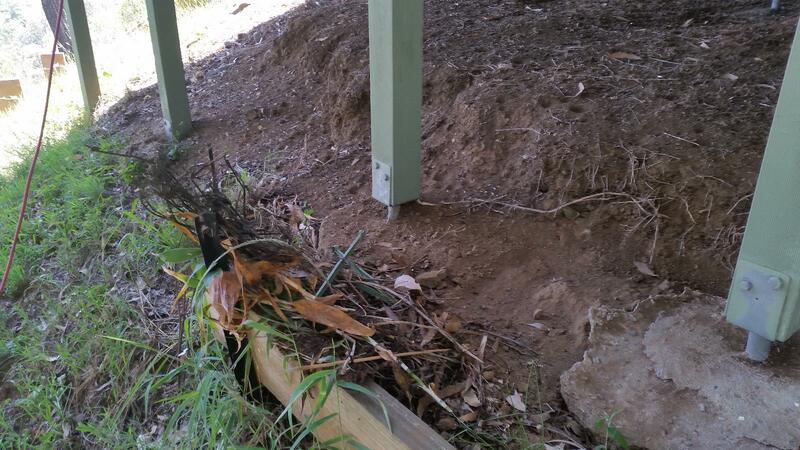 The soil was terrible and hard and dry, but Lomandra’s just about grow anywhere. We put a temporary edge on the bottom of the bank too. 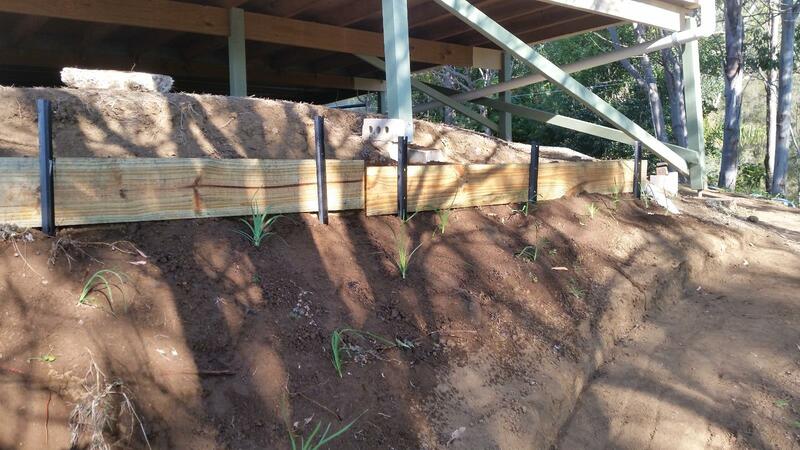 So today we replaced the bank support “wall” with bits of 200mm treated pine sleeper. This should give us some height, that will allow us to mulch and nurture the Lomandras that have ‘survived’ for a year but have not done very well. 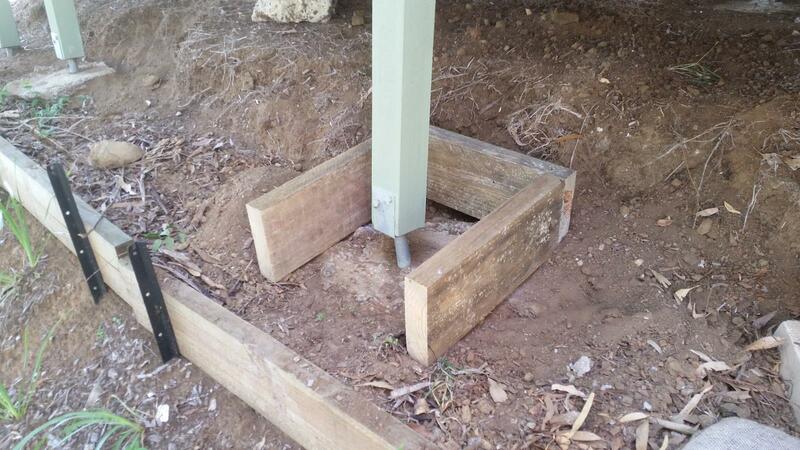 We also starting building ‘sleeper boxes’ to surround each footing and protect it from moving soil and running water. 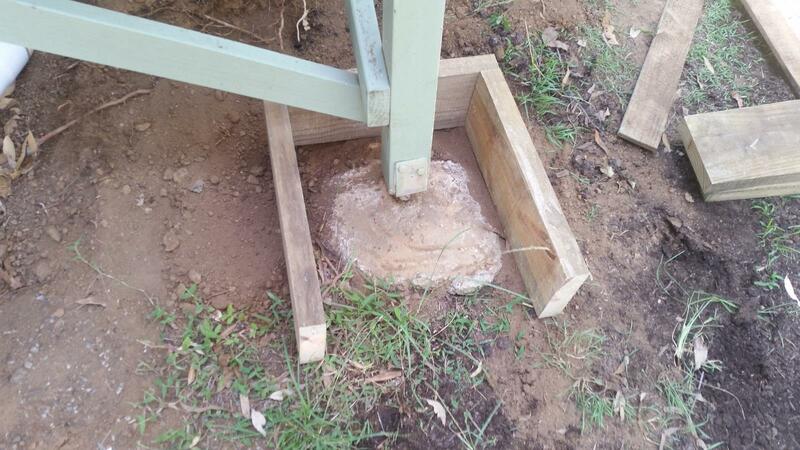 Not a permanent fix, but a temporary measure that may just decrease the erosion around the SW side footings. 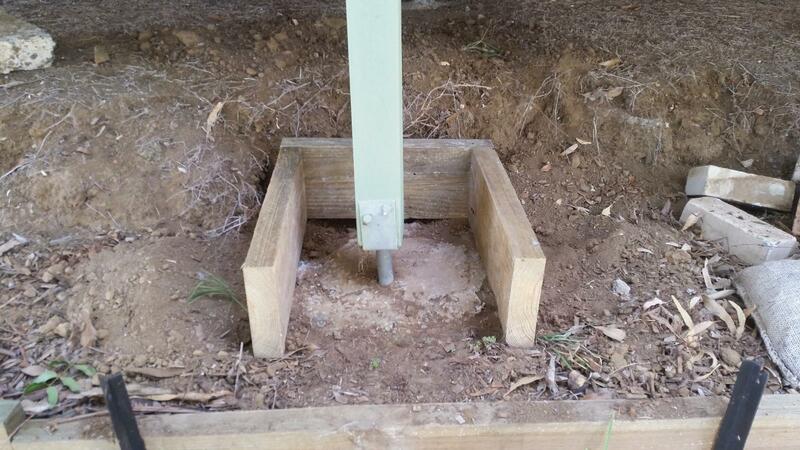 We still have the (full)major repair of the footings to do, but we have secured things as best we can for now. With the Tank level wall almost finished, and the main water tank about to be moved to it’s final position we are close to the point where the main repair can be done. 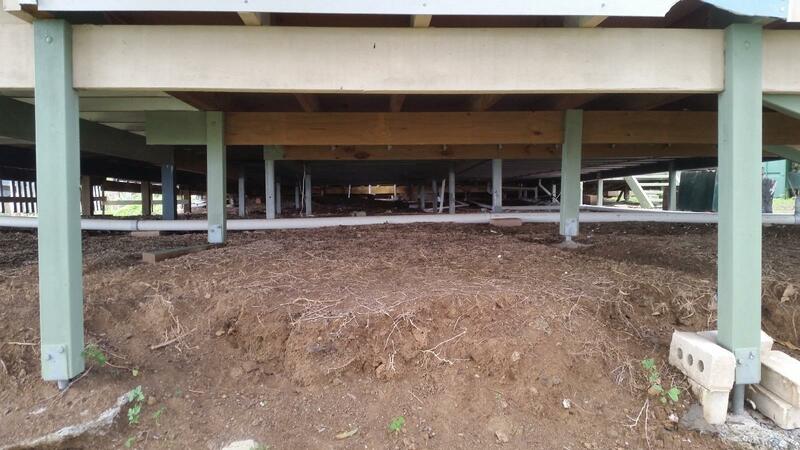 Fixing the footings permanently will be one of the great successes of our move here.. but it is still a little way off. 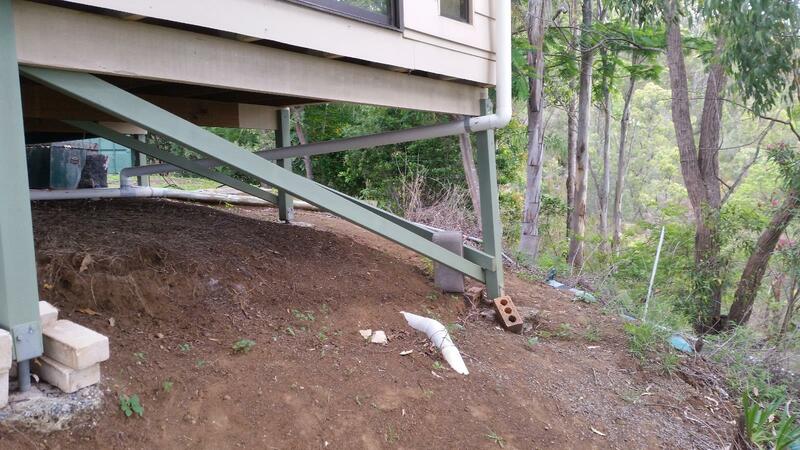 On this side of the mountain we have a ongoing battle with the road, rain and erosion. In this weeks rain we got a small new washout below the road, just past our gate. It did some damage, but it is “repairable” and re-plantable.